Players turned up for training today ahead of the Australia A tour of South Africa, despite the threat to boycott the trip because of a bitter pay dispute. After months of negotiations the players and Cricket Australia (CA) have failed to reach agreement on a new pay deal, leaving 230 players unemployed since the end of June when their contracts expired. The Australian Cricketers' Association (ACA) executive Alistair Nicholson said a "significant breakthrough" in the stand-off was needed by Friday for the South Africa tour to proceed. Nevertheless, players were sticking to their schedule and reported for training with coach Jason Gillespie in Brisbane for the tour which is due to start on July 12. "As a coach, I'll help the players prepare as well as we can," Australia A coach Gillespie told reporters. "We have to have the attitude as if we are going to be travelling." 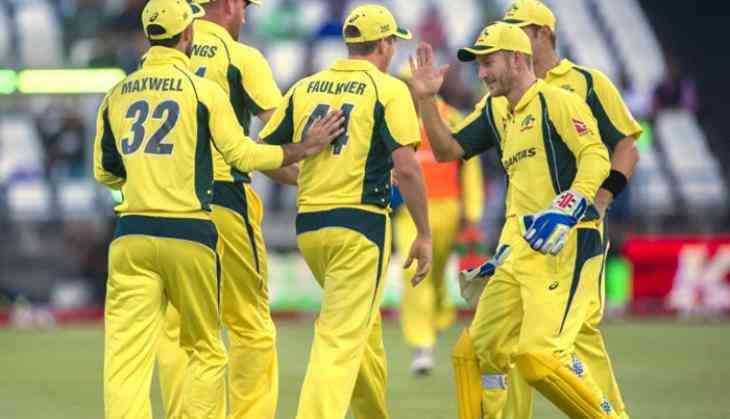 The pay row also threatens to derail upcoming Australia tours to Bangladesh and India as well as this year's prestige home Ashes series against England. Cricket Australia's national talent manager Greg Chappell told reporters that he remained optimistic that a swift solution could be found. "I'm expecting that we will see a positive resolution in the not too distant future and we will get back to focusing on the cricket," he said Tuesday. CA and the players' union hit an impasse after the board attempted to scrap a 20-year-old arrangement of giving cricketers a fixed share of revenues, in favour of dividing surpluses among elite players and offering a pay rise. Former Australian captain Michael Clarke urged the parties to extend the existing deal for 12 months to allow for more negotiations. "Just keep the same MOU (Memorandum of Understanding) for the next 12 months to allow negotiations to, let's say the word continue, but sort negotiations out," he said in Sydney. "The players want to play, they want to play for their country, there's no doubt about it.